Around 16h, drive to a ranch for a horse ride. There are many opportunities to ride horses in the Camargue, it is true that the horse is the best way to pierce in his heart this unique nature. Slow, rustic, used to walk in the brackish waters of the ponds, white to fight against the hot summer sun, he will know how to make you discover his country to the fullest. This little swift horse will walk you at his own pace to make you appreciate the best of the natural environment: at the pace to respect the tranquility of flamingos, herons, ducks and all species of birds in the Camargue but also that of bulls, and a much faster pace, a galloping gallop, to skirt the beaches. An enthusiast of horses but also of its region and its traditions will accompany you for 1h30 of walk which will end with aperitif by the sea. Free dinner, overnight at your hotel. 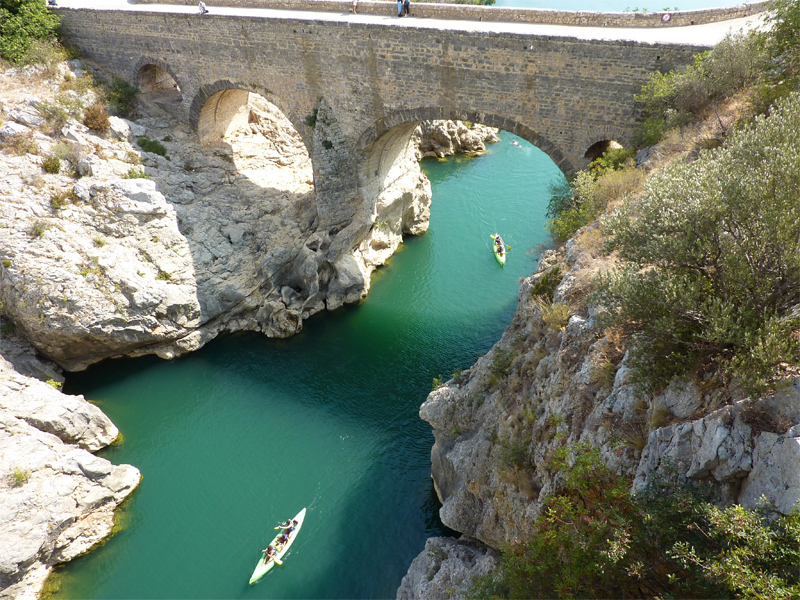 Breakfast at your hotel, then departure for St-Guilhem-le-Desert (classified UNESCO) 30 km west of Montpellier, 50 minutes from the coast, this portion of the coastal river Herault takes place in a wild valley unchanged for centuries. The Classic Descent is a succession of planiols and small easy rapids, no dam, an exclusive Rapido. The water is abundant, of quality and warmer than at sea! Back to your hotel, free dinner and overnight. 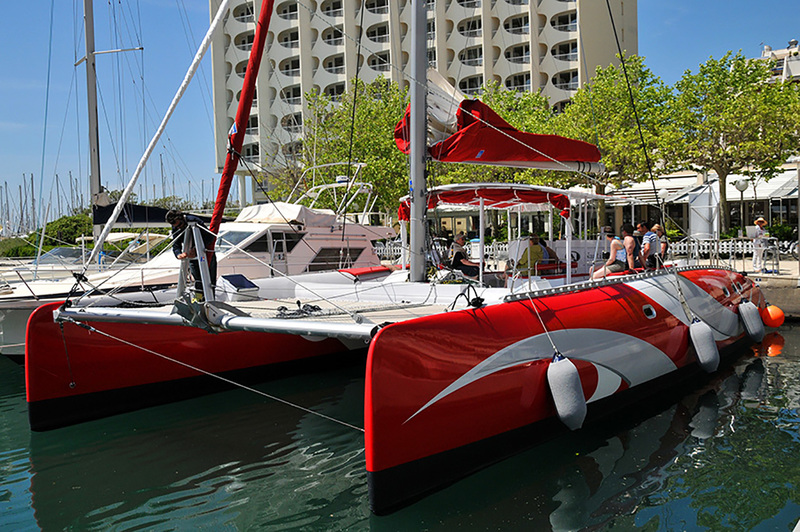 Breakfast at your hotel, go to Cap d'Agde, departure for a sailing trip, aboard a maxi catamaran, an exit with open bar without alcohol, and 1 hour of towed buoy or snorkeling, put available for flippers, masks and snorkels, canoes, kayaks, paddles, or jet ski rentals. Aperitif and plancha of marinated fish on board. Breakfast at your hotel then departure to discover the unmissable places of Montpellier of the 21st century. The 12km walk is framed, commented around a circuit in modern Montpellier, using the bike paths. A walk mixing urban discoveries, architectures and anecdotes of the daily life of Montpellier. Lunch free, then a few pedal strokes, the Mediterranean Sea is within your reach through the edge of the Lez and Méjean pond to cross flamingos and other waders. Large breath of air with this walk of about 3 hours. 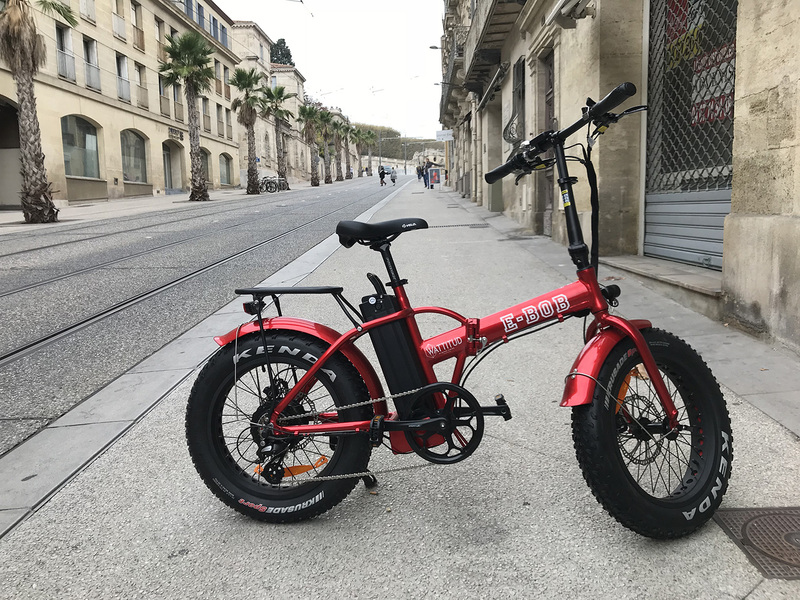 Back to Montpellier, bike deposit, return to your hotel, free dinner and overnight.